Obtaining the right permissions for your new decking is so important – but it’s one of those things that is often overlooked. Many people mistakenly believe that permission isn’t necessary or required by law when dealing with decking structures. so important to obtain the right permissions? Well, the local authorities in many countries can order that new structures are completely dismantled where the owners haven’t obtained Planning Permission in advance of the build or have neglected to follow Building Regulations. Most retrospective planning applications are rejected immediately. Without the right building regulation approval, you can also fail to gain the certificates of compliance you’ll need when you come to sell your home. This guide will teach you everything you need to know. Section 3: Do I Need Planning Permissions? Section 4: Do I Need to Gain Building Regulations Approval? Planning Permission: planning authorities aim to guide how towns, cities & countryside develop. They are concerned with the appearance of buildings, the impact on the value of surrounding properties, highway access etc. Building Regulations: building regulations are aimed at introducing standards for building & construction which protect the safety of individuals; including the disabled. These two things are distinctly different & managed by completely separate authorities. As well as contacting your local authorities as part of this process, our experts always recommend that you should speak with your neighbours & gain their permission. The majority of garden decking planning refusal or enforcement proceedings arise because one or more of your neighbours has an objection to your new structure. 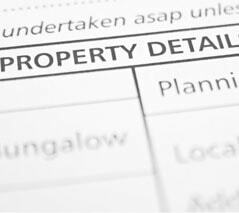 If your structure is likely to affect the privacy or value of a neighbouring home, then you are required by law to obtain planning permission. The least you can do in any case is let them know about your plans. Being courteous and carefully considering your neighbours can often pay dividends in the long run. Section 3: Do I Need to Acquire Planning Permission for my Garden Decking? You can find further information on Permitted Development on the UK Government Planning Portal. Where decking structures fall outside of these guidelines, planning permission will always need to be acquired. Generally, if you are planning on building very simple patio-style, ground-level decking (which is no greater than 300mm) you should be able to rest easy that you don’t require planning permission. Where the decking is situated within 20 metres of a highway. If the structure would affect the value or privacy of neighbouring properties. If the decking will be attached to a listed building or situated within a national park or conservation area. If any part of the deck construction exceeds 3 metres in height. We recommend that before starting any work on your new build, you first contact your local authority to understand if you need Planning Permission. If it is determined that you do need Planning Permission, you should make an application online. Note that if you already have a decking structure & you’re simply looking to replace it – it’s likely you will still need Planning Permission. However, when you apply, you will be able to select ‘the right to retain an existing structure’. Without planning consent, your structure is still liable for removal, even if you had decking in place already. Section 4: Do I need to Gain Building Regulations Approval for my Garden Decking? Building Regulations often come into play where there might be dangers to safety in the use of your decking. The general rule when building your decking is to ensure the safety of all people who will be using the deck. Joists will need to be the correct dimensions & firmly fixed, to ensure the decking is stable. The higher decking is from the ground, the greater the chances of someone falling & hurting themselves. Even a small change of level can be dangerous for young & elderly users. Decking of a certain height will have regulations around the steepness of any stairs leading up to your decking & the height of each step. High decks will also need to ensure that there have been provisions made for balustrades (railings). FAQ: At what height does decking need a balustrade? Unless the deck is flush with the ground, a balustrade is always recommended, even if this is only very slight. A simple decorative rail will usually suffice. For lower decking of up to 60cm (2ft) from ground level – balustrade should be at least 90cm (3ft) in height. For higher decking over 60cm (2ft) from ground level – your balustrade should be at least 120cm (4ft) high. Our experts have affirmed that wherever you are required to gain Planning Permission for your garden decking, you should always assume that you’ll also then need to follow Building Regulations too. Use a builder from the Competent Person Register to build your decking. This person will tell the local authorities about your plans & can deal with issues such as objections on your behalf. Have a Local Authority Building Control Body (BCB) check the building regulations & apply for approval. The Local Authority Building Control have their own portal which you can find here. Have a Private Building Control Body (BCB) to apply for approval on your behalf. They will tell your Local Authority about the work for you. A list of approved inspectors can be found here. Note that there rules only apply to those properties in England & Wales. There are different rules for those in Scotland and Northern Ireland. Each option has its own pros & cons. We’d advise you do your research as to the best option for you before getting started. Planning Permission & Building Regulations can sometimes be a tedious process but trust us – it’s going to be worth it in the long-run! Please note that we cannot make any guarantees as to the accuracy of information on this webpage. All of the information in this guide is intended for informational purposes only. This is not intended as definitive legal information and we would always encourage you to seek professional legal advice before undertaking any work.